If you’re new to veteran hiring, you may be wondering how to get started. 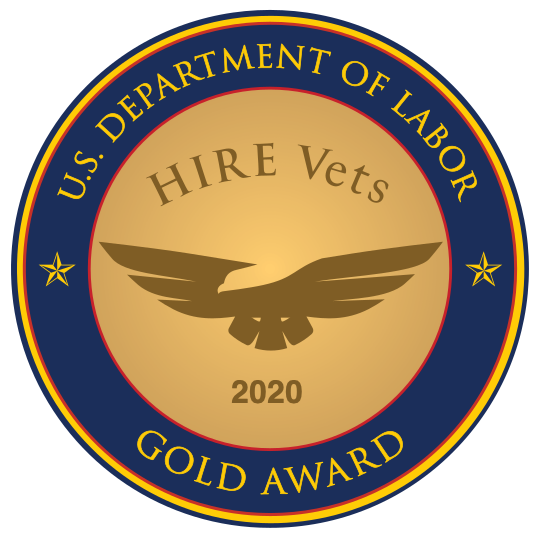 One way to get your veteran hiring initiative kicked off is by establishing your employer brand, then moving to more targeted hiring tactics. LOVELAND, Ohio - March 18, 2016 - PRLog -- The military-to-civilian recruitment firm RecruitMilitary will produce a Veteran Career Fair at Soldier Field on Thursday, April 21, 2016. JPMorgan Chase will sponsor the event, which will run from 11 a.m. until 3 p.m.
LOVELAND, Ohio - March 18, 2016 - PRLog -- DAV and RecruitMilitary will produce an All Veterans Career Fair at Heaven Event Center on Thursday, April 21, 2016. The event will run from 11 a.m. until 3 p.m.
What's It Like to Attend a RecruitMilitary Job Fair? If you haven't already attended a RecruitMilitary veteran job fair, here's your chance to see what it's like. View the video below to get a sense of the excitement from our recent job fair at the Irving Convention Center in Dallas, Texas. Courtesy of the City of Irving's Channel on YouTube. Recently MilitaryTimes published its Best for Vets: Employers 2016 – 7th Annual Rankings – but what we loved best was the RecruitMilitary success story shared at the end of the article. LOVELAND, Ohio - March 8, 2016 - PRLog -- The military-to-civilian recruitment firm RecruitMilitary will produce a Veteran Career Fair at Papa John’s Cardinal Stadium on Thursday, April 14, 2016. The event will run from 11 a.m. until 3 p.m.
LOVELAND, Ohio - March 8, 2016 - PRLog -- DAV and RecruitMilitary will produce an All Veterans Career Fair at Sports Authority Field at Mile High on Thursday, April 14, 2016. The event will run from 11 a.m. until 3 p.m. Fateful Internet search led former Marine infantry NCO to RecruitMilitary and to his second career.